Spare batteries are on order from the manufacturer and it will be 2-4 months before they arrive. Please do not order unless you fully expect to wait that long. An extra battery doubles your on-the-go runtime. This is the only battery the Grasshopper accepts, so picking up an extra one is a good idea. We recommend at least two batteries. See our blog post for more information on batteries here. 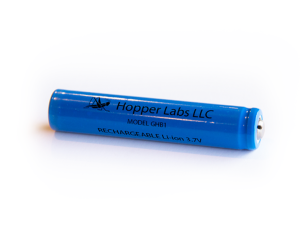 *All Batteries sold now are GHB2.